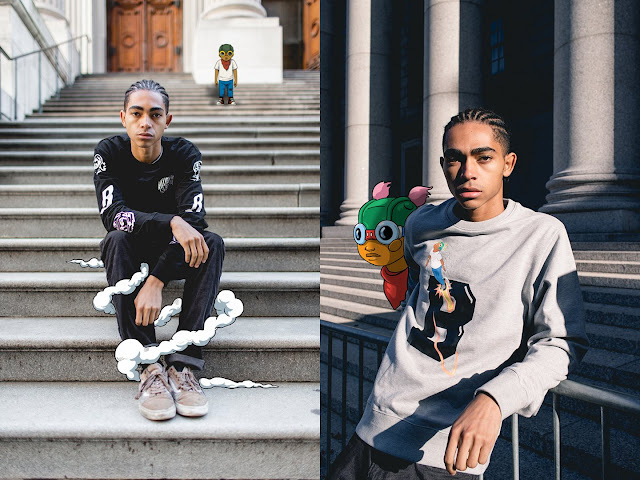 Hebru Brantley, an artist that Billionaire Boys Club has admired for a while, creates narrative driven work revolving around his conceptualized iconic characters. He utilizes these iconic characters to address complex ideas around nostalgia, the mental psyche, power and hope. Majorly influenced by the South Side of Chicago’s Afro Cobra movement in the 1960s and 70s, Brantley uses the lineage of mural and graffiti work as a frame to explore his inquiries. Consistently challenging the traditional view of the hero or protagonist, Brantley's work insists on a contemporary and distinct narrative that shapes and impacts the viewer’s gaze. One of Brantley's more famous works is the character, Flyboy. Recognized by his yellow goggles and green helmet, Flyboy is a childlike character who was conceptualized based on the infamous Tuskegee Airmen—the black pilots who fought in World War II. Flyboy is often seen flying, running and sometimes, just chillin' throughout Brantley's paintings, and can also be seen as life-size pop-color themed sculptures. The childlike character "derived from the idea of needing pivotal characters of color that could exist in a pop commercial space that’s also a space of high art,” Brantley explains. 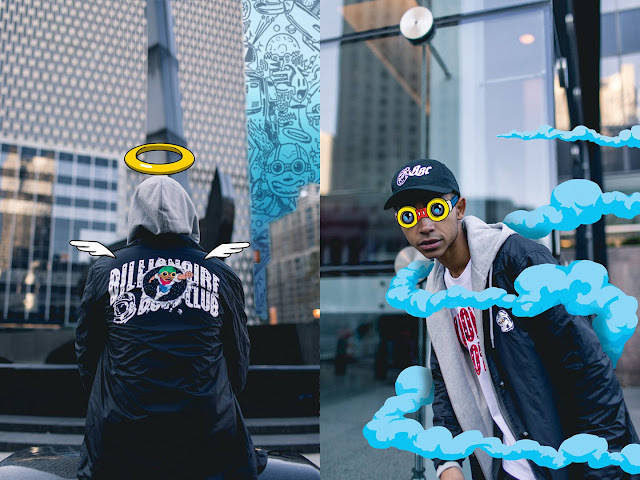 Bringing the Billionaire Boys Club astronaut and Hebru’s Flyboy character together speaks to BBC’s admiration of exploring oneself and fulfilling creative potential. As both BBC and Brantley’s works are influenced by music, art and fashion of today and the past, the collaboration reflects an imaginative culture we immerse ourselves in every day.